This blog was created to be a blessing, but also to bring issues to the floor for discussion. If you see a post on here that you disagree with, please don't hesitate to comment. I would love to hear what you have to say. If you agree with what you read, please be an encouragement to me, and let me know! Disclaimer: the views and ideas posted on this site contain my personal beliefs and not necessarily those that follow my blog. Are you in search for a church to call home... one that preaches the truth, believes what it preaches, and does not apologize for it? Parkview Baptist Church is an Independent, Bible-Believing, Fundamental, Baptist Church. In this day of worldliness, compromise, and indifference to the things of God, we do not hesitate to say that Parkview Baptist Church is a distinctive Baptist body of believers! I'm not sure how many (if any) or who still follows this blog, but if there are still some out there I hope you'll take the time to read this post! For those who are following (or were following) Journal: Beautiful Redemption -- that site, though still available to view, is no longer in use. Please visit (and follow if you'd like!) Grow Up! -- the Lord has been using this site to reach many! What a wonderful Savior we have! Within this site, you'll find a few "old" articles, but many new ones. I am constantly updating this site with new information. There are also many helpful links and several suggested blogs that the Lord has used to touch my life. Also, you can find Grow Up! on facebook! There is an e-mail address available on the facebook page where you can send any questions, comments, or article suggestions! I hope that you will visit Grow Up! Just a reminder: I've moved! If you have any thoughts you'd like to share on my new blog, please be sure to leave some comments! Farewell, Dear Blogspot.... I'm moving on....! 1. Go to the bottom of your dashboard where it says "Reading List"
....and it's as easy as that!! I may update my blogspot from time to time (but no promises)! It has been fun! In Possession of Stolen Property…? Two drugged up guys broke into the church and did much damage on the inside. They stole $900 from the church safe. They raided the kitchen, ate what they wanted, and made a mess of what was left. They tore through the Pastor’s office and stole a set of keys from a drawer. They ended their rampage by taking the church van for a joyride. They managed to crash into 6 other vehicles, and after a police-chase they ran head-on into another FORD van. That’s as far as they got. They were in possession of stolen property. They did what they wanted to do, and as a result of that they caused pain and problems for others. Property was damaged, carpeting and materials were ruined, cars were totaled, and the list goes on and on – thousands of dollars worth of damages. If you’re a Christian – let me rephrase that: if you have asked Jesus to be your personal Savior – than you have been bought and paid for. 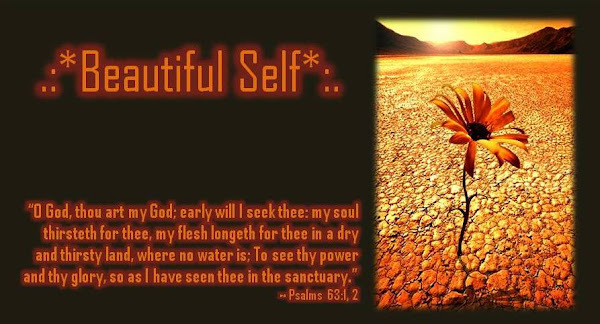 You are no longer your own (I Corinthians 6:20, 7:23). Your body is the temple – the very dwelling place of the Holy Spirit (I Corinthians 6:19)! Therefore, you no longer have the right to do what you want to do, go where you want to go, say what you want to say, dress how you want to dress, look at what you want to look at, etc. What rights have the servants over their Master? None. They are to do, go, say, and work as the Master commands. Those “Christians” are in possession of stolen property! By living unholy, worldly lives they are hurting the cause of Christ. And we wonder why church ministries are at a stand-still: not growing, indifferent, cold, dead. We wonder why so little is getting done for the Lord. We have been bought with a price (I Corinthians 6:20, I Corinthians 7:23) – and we weren’t cheap, you know. The price the wages of our sin set was the death of perfection, the shedding of innocent blood, the sacrificing of the Only Begotten Son of God. So I ask again: What rights do the servants have over the Master? None. We are the servants of Christ (or rather, “co-laborers” WITH Christ), held hostage by His love, and a prisoner of hope by the faith which we have in His everlasting promises. We have been commanded to: “therefore glorify God in your body, and in your spirit, which are God’s.” Our heart’s prayer should be as David asked: “Let the words of my mouth, and the meditation of my heart, be acceptable in thy sight, O LORD, my strength, and my redeemer” (Psalm 19:14). Are you in possession of stolen property? Sooo… I’m back to square one. Worry. Worry. Worry. Worry more. Worry. *blah* Though my job is secure, my particular position is not. *long story* So I wait… and guess what…? Yep, I worry. *stupid* I know better. I have Someone watching all this unfold, and He’s smiling. Why? Because it’s HIS plan. And He gets excited... Knowing His children don’t always understand what’s happening – but that’s the exciting part. It’s like someone who’s written a book that’s now being filmed – the author knows how the end of the story will turn out – but the viewers sit on the edge of their seats… waiting. God is my author… I’m just along for the show. ANDDD… that plan set in less than 24 hours later… which I will share with you at another time. While soaking in a bubble bath the other night, I began deeply thinking (as I often do). What’s the difference between “happiness” and “joy”? HAPPINESS is something that is based on circumstances. When things are good, I’m happy. When things aren’t good, I’m not happy. JOY is something that can never be taking away from me (“…your joy no man taketh from you” (John 16:22b). Sure, I can choose to “lose my joy” – but others can’t take it from me. I like to think of it this way: Happiness is earthly; joy is heavenly. Joy comes from the Lord (Galatians 5:22). I can still have a smile on my face – even if the economy stinks; even if I don’t agree with the political leaders; even if I lose my job; even if I fail my classes; even if everyone in this world forsakes me. I may not be “happy”… :) but I can still have my joy. Sometimes there is a loss for words… or at least, I am at a loss for the “right” words. I have something to say, but I don’t know how to say it. Or perhaps, I DO know how to say it, but I’m afraid of hurting someone. Silence and I have never been real good friends, but lately I have become better acquainted with it – and, most likely, it’s for the better. So often I get worried that my plans won’t be fulfilled. Sometimes I question if God really knows what He’s doing… but then I remember that the clay has no right to accuse the Potter of being unfaithful to His work. And then there’s that aspect of loneliness. Constantly surrounded by people, but having the feeling of being alone… which is completely ridiculous because I have a Comforter who never leaves me and will not forsake me. Tell me… what is God’s will? How do I know when I’ve found His purpose for my life? I don’t expect a great thundering noise, lightning flashing, and a giant hand writing on the wall – but a still, small voice would be nice. Or even a “sign” from Him. Perhaps His will is found only by taking it one day at a time, and trusting that the One Who holds the future of the world also carries me in the palm of His hand – and He never sleeps. Since when does my opinion matter? Since when do people care what I have to say? Since when does God care what I think? Correct: It doesn’t matter. Many say “God said it. I believe it. And that settles it for me.” However, I believe the better way to say it is: “God said it. And that settles it for me.” It matters not if I believe it or not… what God said, goes. End of discussion. Period. I have limits. I don’t like being pushed around, getting my toes stepped on, or being asked to do virtually “the impossible”. But sometimes it’s asked of me… or IS it? Maybe what I think is completely impossible for me to do really isn’t – but when looking at it from where I’m standing it looks like Mt. Everest is in front of me, and I must climb it… in one hour… barefoot. See… impossible. But from where God is sitting, everything’s all down-hill from there… literally. Oh, the irony… how He must laugh! I have much to learn… and I take it as it comes. Ready and willing. 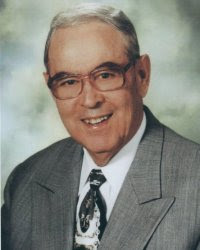 Pastor of First Baptist Church in Hammond, IN (1959-2001). He died Feburary 6, 2001 but his influence lives on. The word fundamental is a relative word. It becomes an adjective instead of a noun when it is used to describe a Baptist church. It is a shame that we have to say fundamental Baptist church, because all Baptist churches ought to be fundamental. The word fundamental means, one who holds to the original faith and practice of a movement. A Masonic Lodge can have fundamentalists. If you go back to the fundamentals of the Masonic Lodge, you are a fundamental Mason. The word fundamentalist does not apply Just to a group of Baptists. It can apply to any group. There are many kinds of religious fundamentalists, and there are even many kinds of Christian fundamentalists. The first Baptist church was started in about 31 A.D. It was not started on the day of Pentecost. It was started during the earthly ministry of our Lord. The Catholic church was started in 313 by Constantine, the Emperor. Constantine united the church and the state in the Roman Catholic hierarchy. In 1530 the Reformation came and the Lutherans started. About the fourteenth century a man named John Wycliff became very disenchanted with the Catholic church. Then came another man named John Huss, who likewise was disenchanted with the Catholic church. Following Huss came a man whose name was Savonarola. All three of these men were martyred by the Catholic church. Then came a man named Zwingli, who was also disenchanted. He became a part of the Reformation. Zwingli was followed by Martin Luther, who was followed by John Calvin. In 1531 the Episcopalian church started. In 1541 the Presbyterian church started. In 1602 the Congregational church started. In 1785 the Methodist church was started by John Wesley. In 1812 the Disciples of Christ were started. We now call them the Church of Christ, Christian churches, or Disciples of Christ. Around 1900 the inter-denominational movement began to flourish in America. Remember that a fundamentalist is someone who goes back to the original faith and practice of a movement. How far back does someone have to go in order to be considered a fundamentalist? They must go back to the origin of their movement. To be a fundamentalist Methodist a person would have to go back to 1785. A fundamental Methodist is not a fundamentalist as we Baptists count a fundamentalist. They still sprinkle because John Wesley sprinkled. They still believe in denominational lordship of the churches. They still believe that salvation can be lost because John Wesley believed it. They still believe in holiness. John Wesley was wrong on holiness. John Wesley was a great man and certainly deserves our attention as a man of character, discipline, and prayer, but not as a man of doctrine. I believe we ought to pray for, love and admire people of other denominations, who believe the Bible, but not doctrinally like we do, but I do not think we ought to work with them. I think it is unwise to work with people that are fundamental in their own doctrine. When I was a young preacher, I pastored the Grange Hall Baptist Church in the country, outside of Marshall, Texas. The Grange Hall Methodist Church was a good Methodist church. They had a fundamental Methodist preacher named Edmond Robb. He and I became good friends. Both of us were in the same little country neighborhood. I respected Ed Robb and the Grange Hall Methodist Church. We never had any trouble, because did not try to unite in our efforts. America was much better off when Baptists worked with Baptists, Nazarenes worked with Nazarenes, and fundamental Presbyterians worked with fundamental Presbyterians, etc. We do not reveal our differences as much if we stay in our own camps and do our own work. We got the job done better back in those days as well. I admire the fundamental inter-denominational people. I respect them, but I do not work with them. The Cumberland Presbyterian Church was about a mile and half from our church. They had revivals just like we did. They got people saved just like we did, but they sprinkled babies and converts. Their denomination assigned the preacher to the churches. I respected them, and I prayed for their revivals, but did not unite with them. Let's allow the fundamental Disciples of Christ, the fundamental Methodists, the fundamental Congregationalists, and the fundamental Presbyterians to live, but let us be fundamental Baptists. The Baptist distinctives that have made us different through the years are no longer precious because we have worked with good people whose doctrines were wrong in some important areas. There are those in the Lutheran church who have returned to the fundamentals of the Lutheran church, but they are still different from a fundamental Baptist in some important areas. They still sprinkle babies. They still have the Bishopry over the churches. They are totally wrong on the doctrines of the church, baptism, and the Lord's Supper. I respect and admire a fundamental Lutheran preacher. I rejoice with him for his morals. I rejoice because he stands for righteousness. I rejoice that he fights unrighteousness. I rejoice that he has revivalsand gets people saved, but I cannot rejoice that he is wrong on the local church. I cannot rejoice that he is wrong on baptism. I cannot rejoice that he is wrong on sprinkling babies. I cannot rejoice that he is wrong on the Lord's Supper. I can thank God for him, but I will not join up with him. To be a fundamental Baptist you must go back to Jesus. Nobody is a true Bible fundamentalist unless he is a fundamental Baptist. Nobody who sprinkles babies is a true fundamentalist because no babies were sprinkled in the Bible. To be a true fundamentalist you cannot believe in falling from grace, because the Bible teaches that you cannot fall from grace. To be a true fundamentalist you must be separated from the world. To be a true fundamentalist you must be a soul winner. You can be a fundamental inter-denominationalist and not believe in soul winning, but you cannot be a fundamental Baptist and not believe in soul winning. A fundamental Baptist church is a church whose faith and practice goes back to 31 A.D. to Jesus. You can be a fundamental Methodist and go back to Wesley. You can be a fundamental Presbyterian and go back to Calvin or Zwingli. You can be a fundamental Lutheran and go back to Luther. You can be a fundamental Catholic and go back to Constantine, but you cannot be a real Bible fundamentalist unless you go back to Jesus. Two things cause these movements to move away from the fundamentals. 1. Unwillingness to accept the stigma of either extreme. Either position has a stigma. If a man is a strict fundamentalist, the great host of society calls him a radical. Most people do not want to be considered fanatical. The evangelicals came along and taught fundamentalists how not to be radical. The evangelical movement was not founded because of conviction. It was founded because the evangelical people were not willing to be branded for Jesus' sake. They did not want to bear the stigma. The farther from fundamentalism the Devil can brand as radical, the better he likes it. He likes it when more liberal Christians are called fundamentalist because it moves the line of what a radical is considered to be. If you are not a fighting fundamentalist, you are an evangelical. The neoorthodox movement is the same thing to liberalism as the Evangelical movement is to fundamentalism. It is a way to avoid being in the extreme of a movement. In Washington, D.C. you will not find many old fashioned conservative Republicans. Nor will you find many staunch liberals. The same concept applies. Everyone wants to be moderate, so they will not be considered radical. The evangelical movement is nothing more than fundamentalists who use liberal terms. The neoorthodox movement is nothing more than liberals who use fundamentalist terms. New evangelicals are those who meet somewhere in the middle. 2. A desire to gather a larger following. Many people make the mistake of believing that they will grow more by appealing to a wider scope of people. In reality, people are drawn to that which is distinct. Most people hold to extreme beliefs and are thrilled to find an institution that has not compromised those beliefs. That has been the secret of the success of the First Baptist Church of Hammond. We have done nothing to try to appeal to crowds other than proclaiming the uncompromised truth of the Word of God. Many men who had great and growing ministries saw the opportunity to enlarge their outreach and changed their position more towards the middle. In most cases the ministries diminished. 1. The Devil wants to bring the term radical toward the center. 2. Let us thank God for every group that broke with their original group when it got liberal and went back to what it used to be. 3. Let us hold to our Baptist distinctives. They do matter. Baptism does matter. It is in the Great Commission. Soul winning does matter. It is in the Great Commission. The Lord's Supper does matter. It is one of the church ordinances. It does matter. The doctrine of the church does matter. Let us hold dear and treasure our Baptist distinctives while at the same time admiring those who are willing to take a stand in their denomination. 4. Let us not be ashamed of being considered radicals. 5. We had a stronger nation when each did its own work alone and the rest of us admired each other from a distance. I am a Baptist. I thank God that I am a Baptist. I thank God for my Baptist heritage. 1 thank God for Baptist distinctives. I thank God for the men who died for them. If they can be martyred for these Baptist distinctives, the least I can do is believe them. 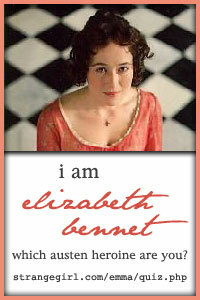 I am Elizabeth Bennet of Pride & Prejudice! I am intelligent, witty, and tremendously attractive. I have a good head on my shoulders, and oftentimes find myself the lone beacon of reason in a sea of ridiculousness. I take great pleasure in many things. I am proficient in nearly all of them, though I will never own it. Lest I seem too perfect, I have a tendency toward prejudgement that serves me very ill indeed.